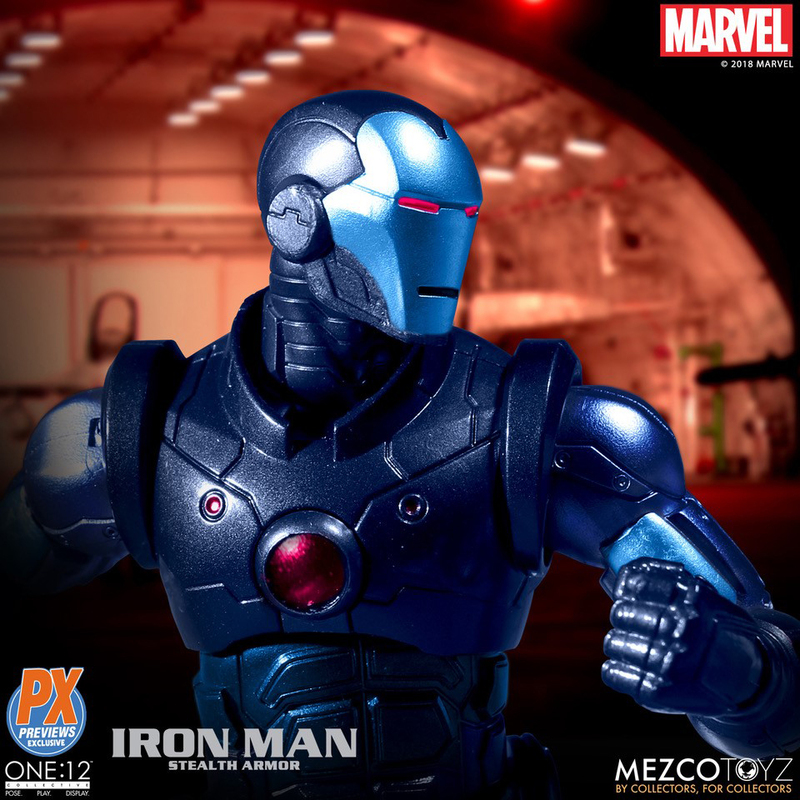 Photos are making the rounds of a new One:12 Collective Iron Man Stealth Armor Figure coming from Mezco Toyz. 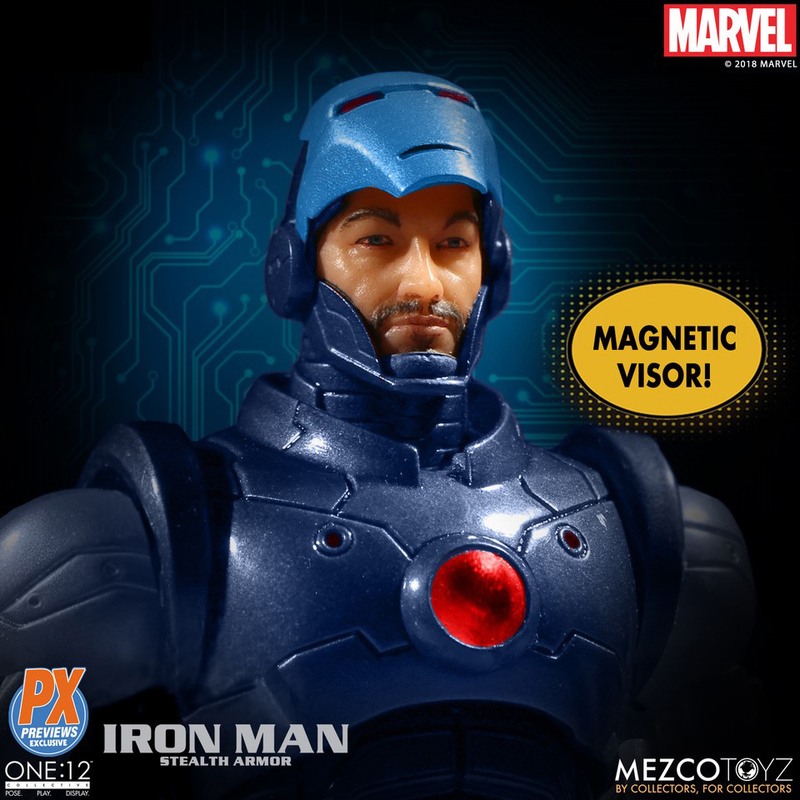 The repainted version of their One:12 Collective Iron Man is a Previews Exclusive. 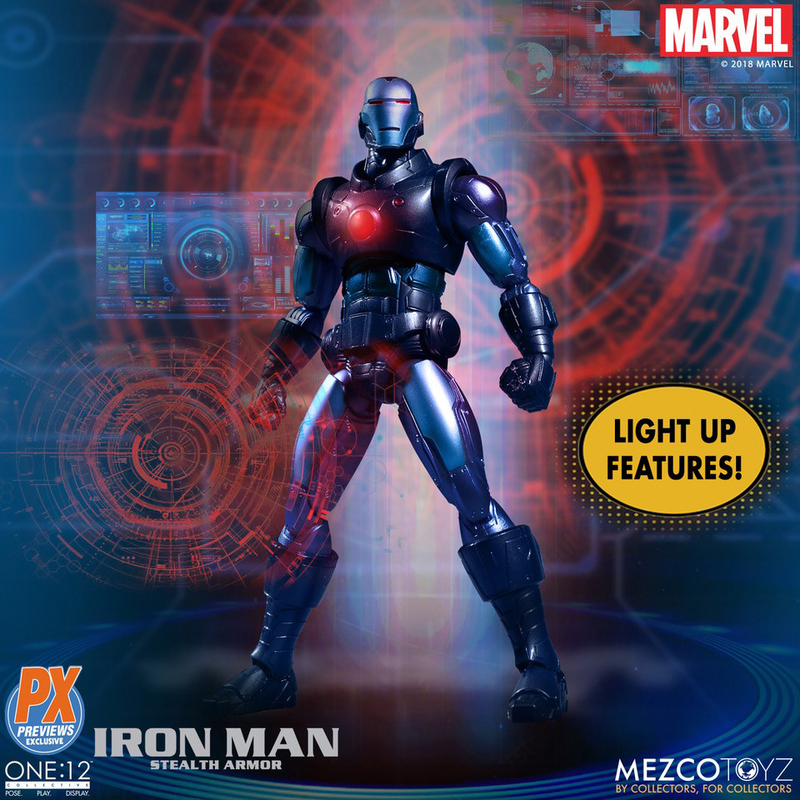 The figure features a metallic blue paint scheme, along with metal pieces and light up function. 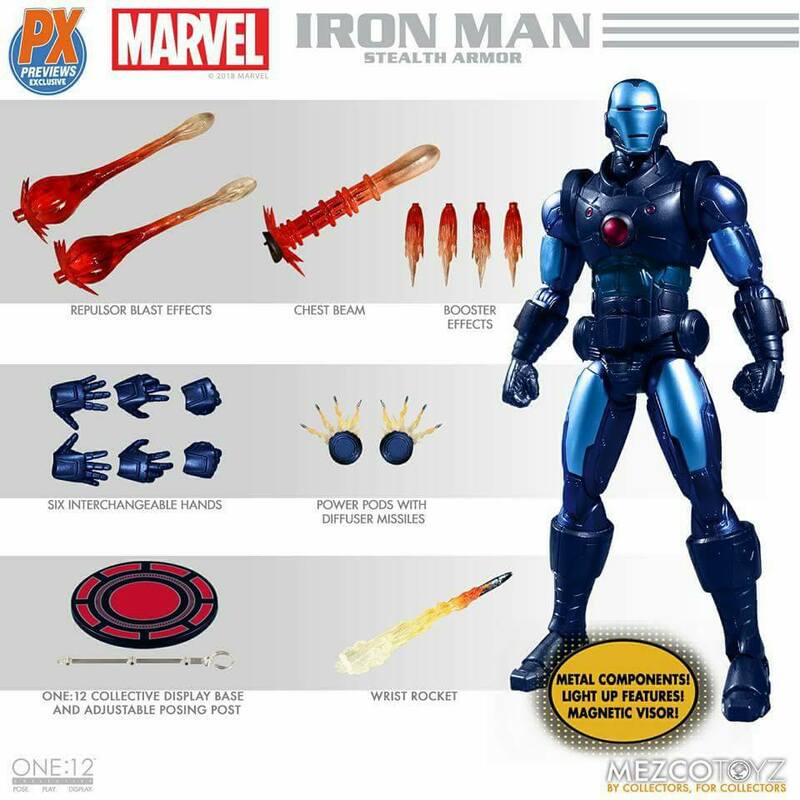 The Stealth Armor Iron Man figure includes multiple interchangeable hands, numerous effects pieces, and a figure stand. The figure stands about 6.7″ tall. Previews has updated with an official announcement. A few new photos have also be revealed. We’ve added the new images to the post. Toyark sponsor Dorkside Toys has opened up pre-orders and added new details. The figure is priced at $90, with a release set for October. You can pre-order it by Clicking Here. Predictable, but I like it. The more i see this IM design (normal or stealth variant) the more i like it. Hoping one day mezco releases extremis or pentagon variants. Really bored with all those MCU im action figures. Updated with more photos from Previews. 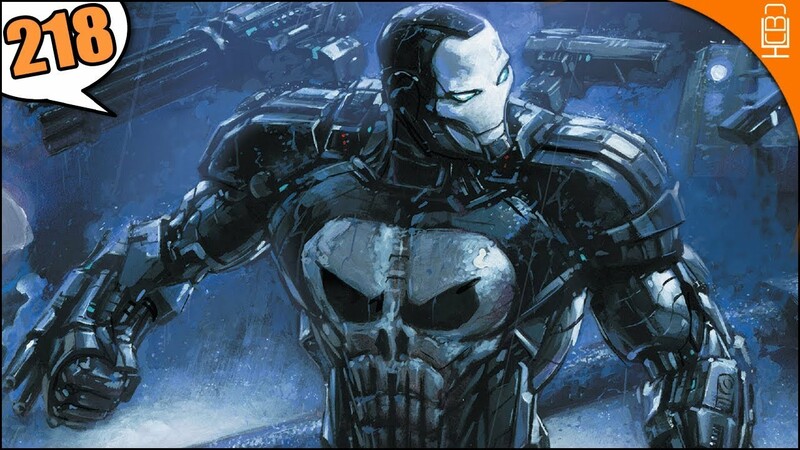 Maybe Mezco wants to make Punisher in War Machine armor. I'm thinking it would be a seller. Figured they were going to make this variant. Was debating between the two at first until my brother said "It looks as if Skeletor stole a suit and repainted it?" Exact reason why I have this pre-ordered. 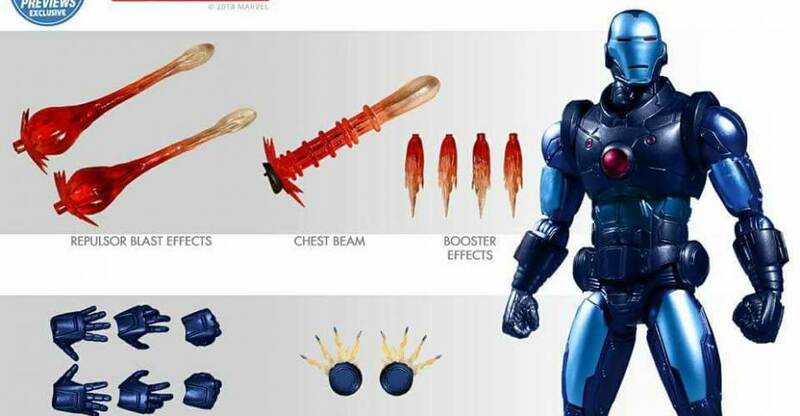 [QUOTE=t1dc;751447]Maybe Mezco wants to make Punisher in War Machine armor. I'm thinking it would be a seller. We would have to be on the waitlist after 4 minutes of it being put up for pre-order; cause you know Mezco would make it an exclusive. 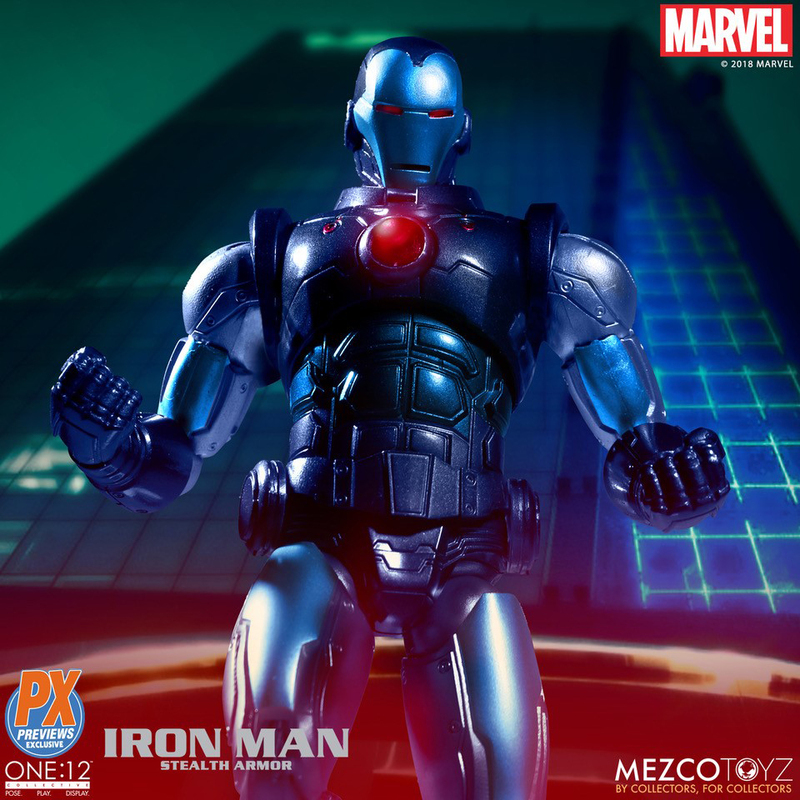 I hope we get an Iron Patriot look in this classic costume.